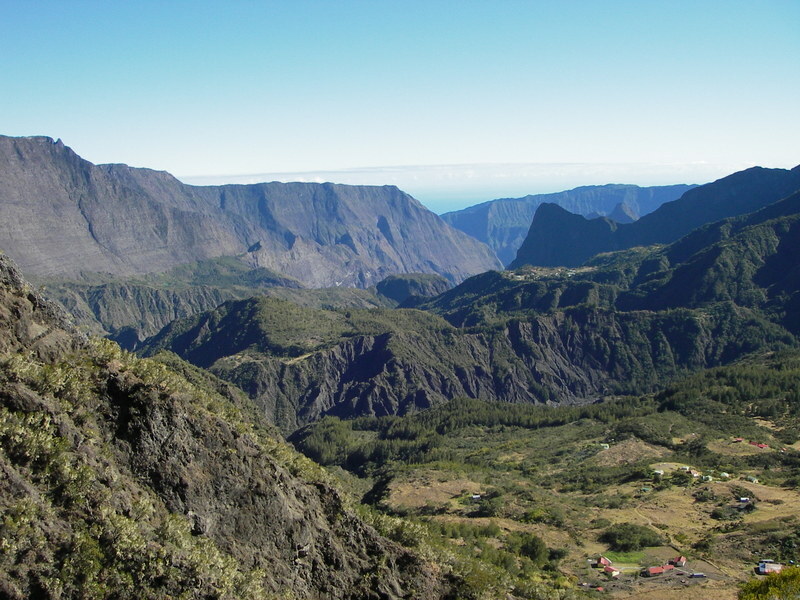 A sporting itinerary that allows you to discover the “Uplands” of Mafate in two days only. We walk through forests (pines and eucalyptus, “bois de couleurs”, Tamarins des Hauts...), across landscapes sculpted by erosion, via the Galets river and the Trois Roches waterfall. 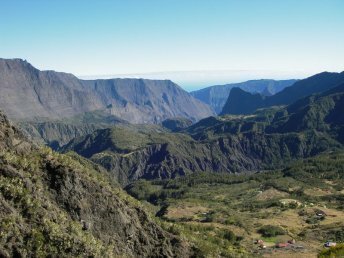 A bonus of this itinerary is the entry into Mafate via the mythical Col du Taïbit (2081 m), offering superb views of the Cilaos and Mafate cirques. D1 – Early morning, short transfer on the local bus (15 minutes). From the road leading to Ilet à Cordes, we walk up to the Col du Taïbit (pass) on the crest between the Cilaos and Mafate cirques, before descending towards the îlet of Marla. Early afternoon, we continue our hike towards La Nouvelle, via the enchanting Plaine des Tamarins. D2 – Hike in the heart of the cirque via the Plaine aux Sables and the Trois Roches waterfall. Picnic in Marla. We then head back to the Cilaos cirque via the Col du Taïbit. Around 7-8 h walking, +1000 m and -1200 m Transfer to Cilaos on the local bus at the end of the day.